Both Mark Swope, Genilee’s brother and Sharon’s son and Spectacle Publishing Media Group have posted links to the video of the television show Conversations with Rich. The show aired last week in the Northern Virginia area. Walking into the kitchen intent on … now what was I going to do? A large glass of water, a computer, and me, all within close proximity. I am bound to reach for the glass, knock it over and watch the water sizzle the electronics. 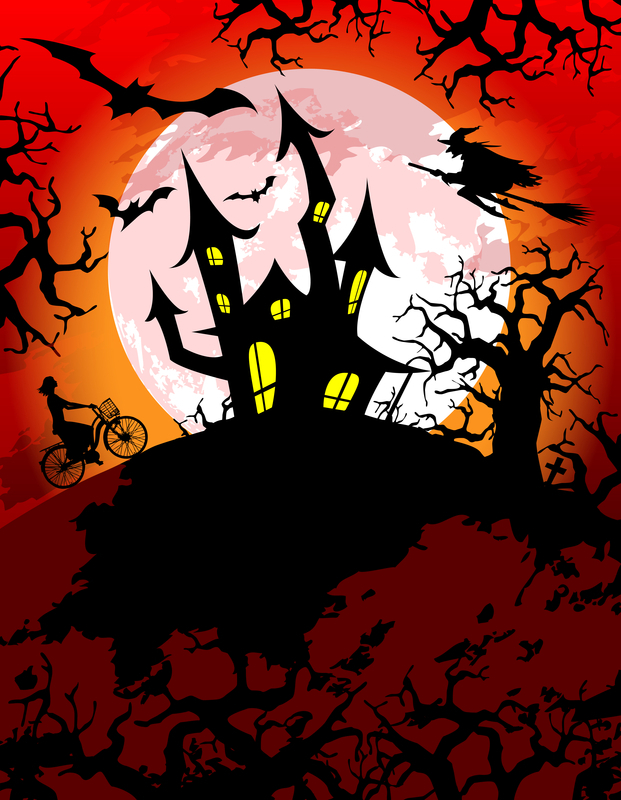 The large bag of chocolate candy hiding on the top shelf of my closet … and no trick or treaters showing up at the front door. Hello five pounds. Hitting the “new document” button in Word and watching the wall of white arise. Once my fingers start moving, I know that wall will fill up, but its sudden appearance can be intimidating. Entering the highway at any time on any day of the week with the intent of getting somewhere at a certain time. This does not happen in Washington, D.C. Being stuck anywhere for two hours with the knowledge that a bathroom is not readily accessible. I am, after all, an old lady. A sea of faces staring at me, awaiting words of wisdom and truth about what it’s really like to be an author. The thought that I’ll never again be asked to talk to that sea of faces. My smart phone being a lot smarter than I am. Spiders. And anything else with hairy legs that is smaller than a mouse. I don’t even mind the mouse. But don’t let me see a spider in my house. An empty mailbox—be it electronic or metal. A Sunday afternoon with nothing on the schedule. That means it’s time to clean the house. An unexpected visitor to my home on Sunday night. Oh why didn’t I use my afternoon to clean my house! And finally, Thursday mornings without an idea for a blog. Whatever will I say? I used to be quite organized in my thinking process. I’m good at working things through in my mind, and I think that’s one reason the book writing has gone so well without an outline. My mind just keeps things in their place, which I’m finding is especially valuable when you’re losing your eyesight. However, in trying to keep things straight in rewriting book four in the Sam Osborne, I’m completely mixed up. I finished the first draft without any difficulty, then decided I needed more about my villain so I wrote a few extra chapters to insert into the plot. The trouble is I can’t find the chapters I think those inserts should go around. Old age probably plays a part. But it would be much easier if I could just run out printed versions of the chapters. That requires a lot of wasted paper and ink, which probably won’t do me much good anyway―my eyesight makes it difficult to read any printed letters. Now when I write, I have to struggle with listening to what I’ve typed being read back to me. Without a printed copy, my mind seems to be befuddled. I also have to admit, rewriting is not as fun as writing the first draft. based on the holidays of the year. I so much enjoyed working on those stories that I’m ready to tackle a new series. While I love detective Sam Osborne and what we’ve done with his books, it was wonderful to take a break from him and come up with what was really my fifth book, Letting Life Flow. I took each of the year’s most celebrated holidays and wrote a different kind of story, using different points of view and tones and different types of plots (love story, mystery, sentimental), which made the writing process even more fun. Both Genilee and I are pleased with result. And I can’t begin to tell you how pleased we are that we’ve already got a publisher who is interested in putting out the book by next summer, and has already talked to us about ideas for illustrations and a possible joint launch with one of my daughter Allyn’s children’s books. It certainly is exciting to have someone come to us to offer their backing. I’ll write more about this new book and our stories as developments happen. In the meantime, I’m allowing my befuddled mind breaks from trying to organize book four of the Sam Osborne series by coming up with ideas for what will be my sixth book—more short stories. nt speaking engagements was both a challenge and a thrill. We talked before a large group of senior citizens—the First Choice club—which is an interdenominational group that meets once a month in Woodbridge. It was both exciting and scary to talk in front of a group of about 80 men and women. The excitement won out once we got started speaking about why we write, how we collaborate, etc. The group made us feel very important through their receptiveness and their very good questions, and we came away inspired and proud to be doing what we do. This week, we have a signing and smaller talk at Fairmont retirement community in a new location for us, Manassas, VA. The speaking engagements we’ve had have been a real surprise to both Genilee and I. Neither of us had done much speaking before writing these books. Getting up in front of a group of people to share your life’s passion has been great for both of us. People really do think it’s wonderful that we are pursuing our life’s passion so late in life. At the same time, we are going through the inevitable waiting game. Wretched Fate is ready to come out and the most recent launch date we’ve been given is Nov. 4. 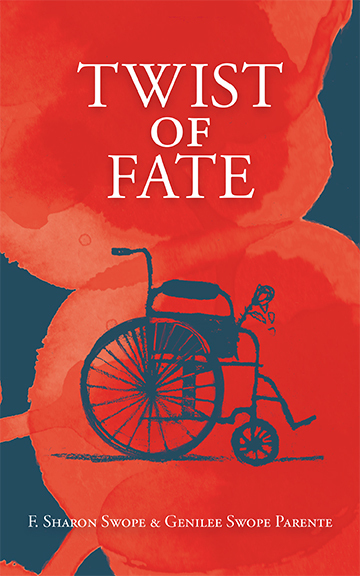 We are anxious to get the book out and begin marketing it alongside Twist of Fate, and we hope to have time to do that before the holidays. We’ve learned, however, that there are many things that get in the way of our plans. Writing is the one thing I do for myself that involves no anxiety, uncertainty or vacillation. I won’t allow it. We all need one aspect of our lives where we’re just free to be ourselves without influence of outside pressure. I’ve decided it will be writing. What that means on a daily basis is that, no matter what I face that day or how much of a work load I carry, I give myself one hour first thing in the morning with only a cup of coffee between sleep and empty or unfinished pages. I don’t even allow the baleful eyes of my sweet hound dog to tempt me away from my task. She’s learned, after a year or so of this routine, that the leash is next on my list. But even with major book events, I let only the joy of being an author come through the doors with me. I’m shy by nature so speaking before groups or sitting behind a table trying to get passersby to stop and look at our book should not be comfortable for me. And I feel the jitters bubble towards the surface occasionally. Instead of waiting for them to break through, however, I remind myself that I’m there as a writer. Why should I care if someone ignores me or I stumble over my words? The only experience I have to compare this with is my wedding. I planned, I saved, I fussed before the event. But when the day came, and despite the fact I knew I’d trip walking up the steps in a gown with a train, I honestly felt no nervousness. I asked myself after the ceremony why and came up with this answer: because I knew what I was doing was right. I didn’t doubt for a second that I was marrying the right man so I didn’t care what others thought of the wedding arrangements, how I looked, or whether I fell flat on my face. I was exactly where I needed to be. When I sit before the computer playing with words; when I sit with mom at my side and a stack of books in front of us; when mom and I find ourselves among a group of strangers looking to be entertained or informed, I know I’m where I’m supposed to be. It took a long time to get here, but who cares. I’ve arrived. 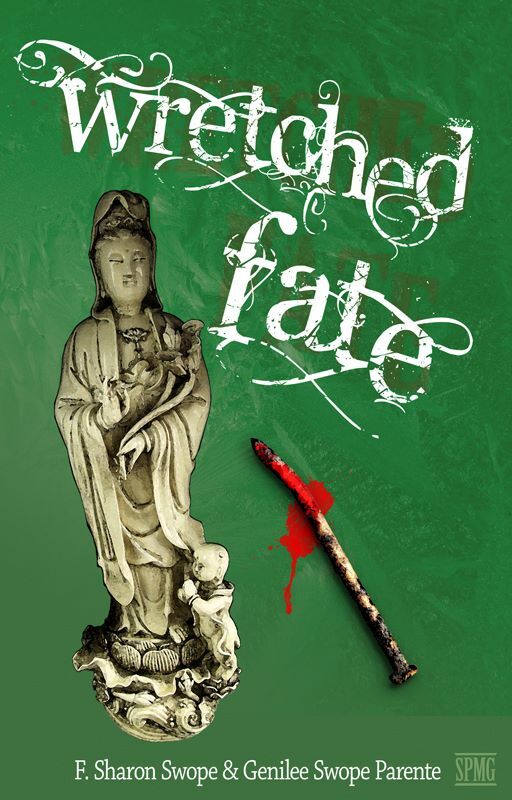 Look for Wretched Fate coming out this month! 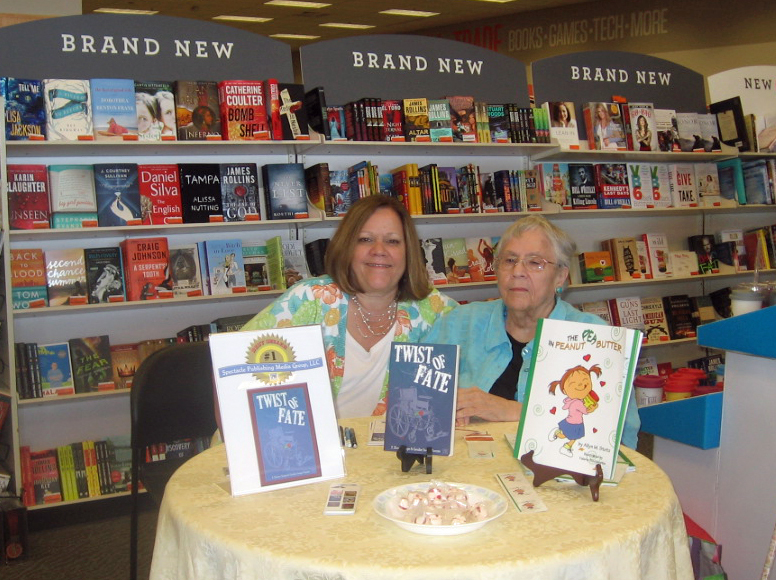 The most common question both mom and I get when we speak to book clubs and meetings is: where do you get your inspiration and ideas? How did you come up with a girl in a wheelchair and a boy who is homeless who get thrown together in a snowstorm? How were you able to lead readers away from the true villain so they were surprised at “who dunnit?” We’ve discussed this issue many times, and we’ll be talking about it for many more years. This is because the source of creativity for each of us, at least for these Sam Osborne books, is different. Mom is a story-former. She lays in bed at night and the characters come to her, then when she sits down at the computer, they spill at random, sometimes shocking her with their actions. The story has its own steam. I would call myself, in terms of this series, the word polisher. I take what she’s written and my own knowledge from years of being an editor, as well as my knowledge of how my own mom thinks, and I do what I do best: flourish. I fill in the descriptions, round out the characters, paint the scenery. I think the reason this book series works so well is that we have combined those two aspects of being a writer. Both are vital and the best books are written by authors tha t can do both. You have to have tasty-looking bait or readers will just ignore your lure. But you also need a good, solid story line to keep them hooked and reel them in. Think about some of your favorite authors. Mary Higgins Clark, for example, is a master story teller. She can create twists and turns that fascinate. But would you read her work if she didn’t also have the skill it takes to give you a smooth ride? You barely know you’re boating when you read a Mary Higgins Clark novel. You just cut through the waves on your way to the destination she’s created. A good example from my own personal favorites is P.C. Cast and her daughter Kristin. My teenage daughter got me to read the first in the House of Night series and once I was on my way, I didn’t stop reading until I realized I was spending way too much time reading a teenagers’ series (that was about book seven and I’m just taking a break!). The series is about vampires, which is a sore subject (forgive the pun) for someone of my generation who feels the teenage world has been bombarded with fangs, fur and blood. 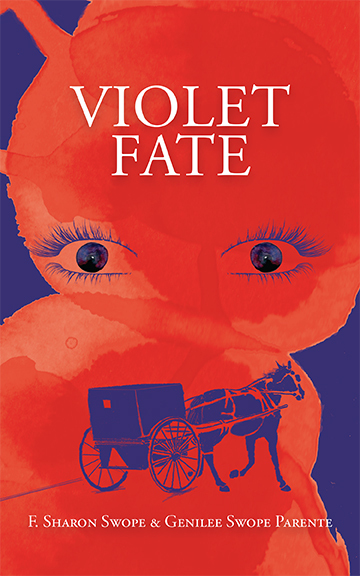 I was fascinated with why I couldn’t put down the Cast authors’ books, and I now believe it’s because the mother’s many years as a writer and the daughter’s input into what youth truly reads were the two main ingredients. The series has a good story line and the words are put together smoothly. I think if mom had started writing earlier in life, she would have become the wordsmith I am. And I hope that through her example, I’ll be able to sit down some day and let my own story lines emerge more fully. I’ve started that process with a book of my own about a girl who learns to travel outside her physical body. For now, though, I’m happy with the progress of Sam Osborne and the characters in the Twist of Fate series. 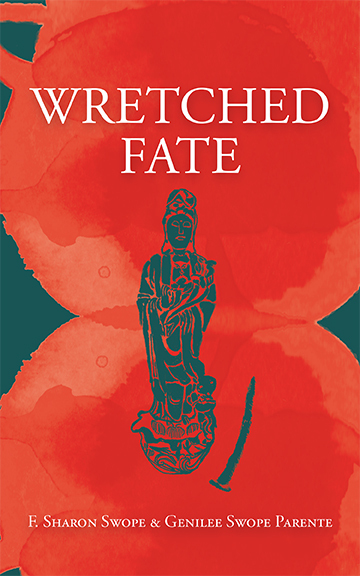 And pretty soon, we’ll be casting out the next line: Wretched Fate.